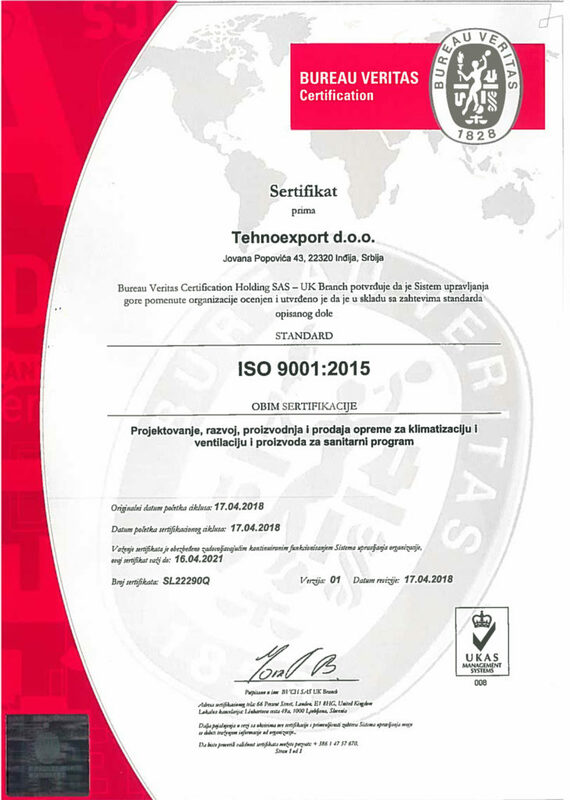 The world’s leading compliance verification company Bureau Veritas has awarded the ISO 9001: 2015 certification to our company Tehnoexport. The certification results were satisfactory and the certification team leader gave a positive recommendation for the issuance of the certificate. The certificate refers to the design, development, manufacture and sale of air conditioning and ventilation equipment for sanitary program..